Aladdin is coming to the Majestic, but Agrabah and its inhabitants may be a bit different than you remember. With characters like General Boomenblast, Aladdin’s brother Sudsy, and his mother, the Widow Washingo, this adaptation is clearly a far cry from the original fairy tale or the more familiar Disney classic. But this isn’t just a clear and purposeful bastardization of source material. Instead, it’s the celebration and revival of a beloved form of theater known as pantomime (panto for short). Panto developed primarily in England between the 16th and 19th centuries, out of the commedia dell’arte theater style in Italy. The key facets of panto are audience participation, tons of comedy, a set of stock characters, and some fun special effects. Somewhat vaudevillian in its practice, it is only fitting that Jimbo Ivy and his crew are bringing panto to the Majestic, which was originally a vaudeville theater. 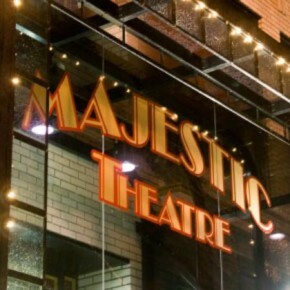 The Majestic’s grand Aladdin panto experience is set for Oct. 2 through Oct. 18, with auditions coming up fast. On both Monday, July 6 and Tuesday, July 7, interested members of the community can stop by the Majestic and audition for the varied set of characters needed to run the play. Auditions for the youth ensemble, for ages 10 to 17, begin at 4:30 p.m. on both days. Auditions for the adult leads begin at 7 p.m. on both days. Those interested in auditioning need only attend one of the days and must be prepared to sing and dance. Callbacks will be on Wednesday, July 8 at 7 p.m.